Today the Reason Foundation released their 21st Annual Report on the Performance of the State Highway System. This report ranks the quality and spending on the state highways based on data reported by each state for 2012 and part of 2011. Our legislators should be hanging their heads in shame while the taxpayers should be sharpening their pitchforks. The condition of New Jersey highways ranks very low while spending per mile far outpaces the rest of the nation. New Jersey spends 12.5 times more than the national average per mile. This is over 3 times more than Massachusetts, the next lowest spender. The NJ state Casino Reinvestment Development Authority is attempting to seize private property once again. They are attempting to use eminent domain to seize the home of Charles Birnbaum in Atlantic City. Mr. Birnbaum’s parents purchased this home in 1969. Mr. Birnbaum uses the home as a base for his piano-tuning business and rents the apartment in the house. The Declaration of Taking filed in February by the CRDA presents Mr. Birnbaum with a sum of $238,500 for the taking of his property. Zillow estimates the house worth to be $381,161. The filing indicates that the property is being condemned, yet the property is in excellent condition. The New Jersey Libertarian Party urges the passage of A2270 - the "Aid in Dying for the Terminally Ill" bill. The NJ Libertarian Party platform calls for "the repeal of all laws interfering with the right to commit suicide as infringement of the ultimate right of an individual to his or her own life." Feel free to write your own representative and ask them to support A2270. Additional information can be found on the Compassion & Choice - NJ website. We are writing to you today to convey our strong support for the “Aid in Dying for the Terminally Ill” Act (A2270). This legislation affirms the right of a qualified, terminally ill adult patient to obtain a prescription from his or her physician for medication that the patient may choose to self-administer for a humane and dignified death. Should the U.S. government forbid foreign children from entering the United States? The Libertarian Party says no. It would be unjust and inhumane for the U.S. government to prohibit these children from entering the United States. A great irony is that U.S. government policies have caused the conditions that some of these Central American children are fleeing. The War on Drugs has created a huge black market in Latin America, causing increases in gang activity and violent crime. Some of the affected children naturally try to flee this violence. It is wrong to jeer at them, call them "illegals," and tell them to get out. NOTE: to attend as a NJ Delegate you must be approved by the NJLP State Board and be a current Libertarian Party member. Last November, I traveled and spoke to European Libertarian groups in Moscow and in Madrid. The latest additions to our speaker lineup come from contacts I made during his trip. Vera Kichanova is a libertarian elected official and activist who has been described as one of "Putin's Unruly Children." In 2012, she was elected as a municipal deputy in Moscow's Yuzhnoye Tushino district. In 2013, she received a Democracy Award from the National Endowment for Democracy. While in Washington, D.C., to receive the award, she met with National Security Adviser Susan Rice in the White House. Back in Moscow, she works as a journalist and is a frequent and vocal advocate for liberty who has been detained or arrested many times for her activities. She has become one of the most visible and internationally known faces of the Russian opposition, and has been featured in articles in the New York Times, the Washington Post, Der Spiegel, and more. Vera is 22 years old. Roger Paxton: We Are Libertarians! Today is the 80th Anniversary of the repeal of Prohibition of alcohol! Celebrate by having a drink of your choice today. The turn of the twentieth century was a dark time in America. 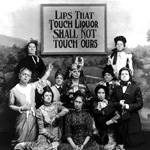 The Women's Christian Temperance Union, which had been promoting Prohibition for many years, believed alcohol was the cause of many, if not all, social ills. Mistruths like this were spread. Lines were drawn. Bars and taverns were vandalized. People were killed. On January 16th, 1919, Congress passed the Volstead Act, outlawing alcohol and ostensibly putting an end to drunkenness, crime, mental illness, and poverty. Steven J. Uccio and the New Jersey Libertarian Party invite you to give Heat for the Homeless! In Lakewood, NJ there is a community of about 100 people who live in a wooded area called "Tent City." These people have no where else to go and are not asking for any assistance from the local government. They live in tents, shacks, and are supported by mostly private charity to better themselves. "It's scary when the libertarian is the best speaker at an event like this. He was good!" That's basically what the "progressive" standing next to me said after Gov. Gary Johnson's speech to the Stop Watching Us rally. There is no impending government shutdown — only a government slowdown. The threat of a "shutdown" is designed to scare voters while avoiding scrutiny of reckless government overspending. If federal lawmakers do not pass a budget or a "continuing resolution" (CR) by Oct. 1, a government spending slowdown will take effect. This could halt almost $1 trillion in annualized spending that the CR would authorize, which is the size of the current federal deficit. If made permanent, this would cut annual federal spending by approximately 27 percent to $2.7 trillion — the current level of revenues coming in. In other words, a federal slowdown — if allowed to take full effect — would balance the federal budget. This would greatly benefit the U.S. economy. "There is no Constitutional justification for America to unilaterally use force in Syria," Neale said. "Syria is not threatening our country," he added. "We have no national interest in intervening there. There are no reasons for the U.S. to support either the Assad dictatorship or the opposition warlords." Neale reaffirmed the party's longstanding foreign policy of nonintervention, quoting part of the National Defense plank of the party platform: "The United States should both avoid entangling alliances and abandon its attempts to act as policeman for the world." He also quoted from the International Affairs plank, which says, "American foreign policy should seek an America at peace with the world. Our foreign policy should emphasize defense against attack from abroad and enhance the likelihood of peace by avoiding foreign entanglements. We would end the current U.S. government policy of foreign intervention, including military and economic aid." By Justin Raimondo. This article originally appeared at antiwar.com and is republished here by permisssion.